13.08.1979 Establishment of the company tire repair service Hämmerling on 500 square meter at the Bielefelder Str. 79. Admission of a RTS cold retreading with a daily output of 12 truck-tires. Purchase of neighbouring property Bielefelder Str. 77 and establishment of a service station with production on 1,500 square meter. 1988-1993 Commercial station in the north spanish Ampuriabrava. Extension of the working area Bielefelder Str. 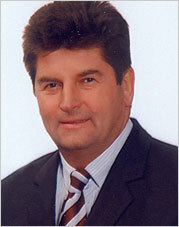 77/75 around 1,000 square meter and change of legal form in autoprofessional Hämmerling GmbH. Purchase of the real estate Bielefelder Str. 216 with 22,0000 square meter Reason and soil and 7,000 square meter hall surface. Shifting of production and combination with the acquired truck cold retreading plant of the company Maurer Meisenheim. 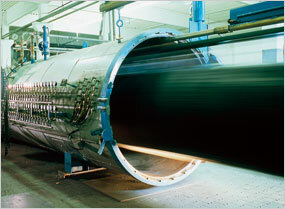 Manufacturing capacity 160 tires per layer. Establishment of a second service station in Bad Driburg. Uncoupling logistics into an own enterprise. Establishment of the company Nachtsprung-Transport und Logistic. Renaming to Hämmerling The Tyre Company GmbH. New building of a storage hall of 3,000 square meter on the area Bielefelder Str. 216. Establishment of an own software enterprise. The company Tyre Energy. Extension of the storage capacity by the building 1,500 square meter resounds. Structure of an own Truck carcass trading. Assumption of Tires on LINE and union with our subsidiary Tyre Energy.The result: Starting from 01.09.2005 the new enterprise Tyres on LINE and Energy GmbH is called. Extension of production with own hot retreading, daily capacity 250 tires. Opening of Hämmerling Dependance China in Shanghai for logistics, qualitymanagement, buildup and care of supplier-contacts, locally Container- and duty-development. Evolution and production of our own truck tyre ATHOS and truck wheel TALAS. Opening of the complete wheel-center for trucks with an intended year-capacity of 200.000 pieces, also PKW in planning. 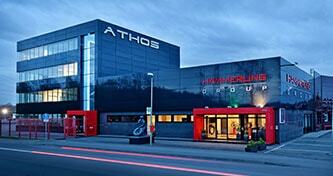 Upgrading of the ATHOS range for additional sizes and patterns in truck sector. 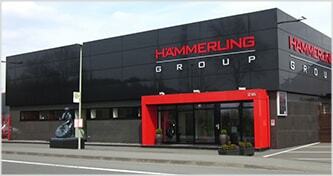 In August 2010 the Hämmerling Group took over a large international forwarding company and renamed it into the Hämmerling Group Logistic short the HG-Logistic. The HG-Logistic transports and stores stock in 5 branches in Germany and Europe such as Poland, Romania, Slowenia and Hungary. We have 140 employees in Germany and 250 in the whole team working with 145 trucks at your service. Hämmerling presents its own truck alloy wheel called TALAS-ALU at the IAA Motor Show. Our warehouse burns down and is rebuilt with 1,500 square meters of stock space on the Bielefelder Str. 73. Construction of a new logistic center for the HG-Logistic on the Bielefelder Str. 216. Building of a new warehouse for passenger cars only on the Bielfelder Str. 216. On 1,839 square meters we load and unload over 1,000 parcels every day. Opening of the wheels storage with 1,500 square meters of room for stock on Bielfelder Str. 73a. 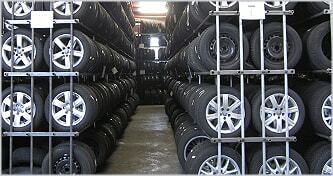 Storage, maintenance and more for 3,000 tyres sets for the season change. Closing of the Autoprofi-Center for endusers and enlargement of the wheels storage on Bielefelder Str. 73-77. New construction of an office building with a canteen on the Bielefelder Str. 216. Foundation of a subsidiary company " Athos International Truck Tyre doo " in Serbia.